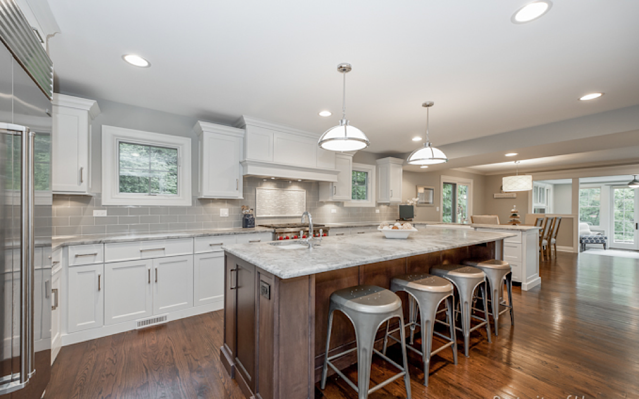 In a recent article on renovations, we highlighted this amazing, transformative remodel that we had completed for our clients. 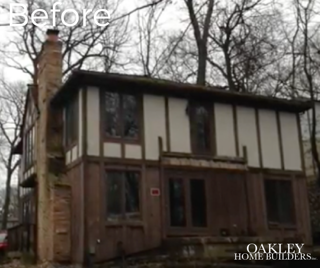 Now this beautiful Oakley renovation in the perfect Glen Ellyn location is for sale. If the timing of doing your own new construction custom build or remodel isn't in the cards, here's your opportunity to get into a beautiful Oakely home that is immediately available. 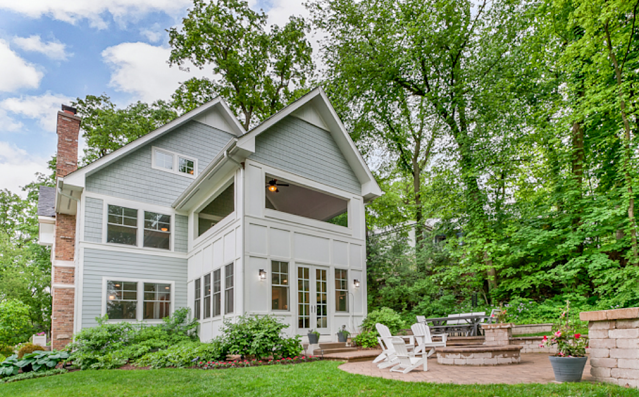 651 Lake is located just steps from Lake Ellyn in the heart of this incredible town. While this home underwent a massive renovation a few years ago, it still feels perfectly suited to this lot that is filled with mature trees and beautiful landscaping. This 5 bedroom, 3 car garage home incorporates so many traditional elements served up in a luxurious and well-designed way. The design lends itself to entertaining with the gourmet kitchen complete with Wolf range, the open floorplan, backyard firepit, guest quarters, and finished basement with wet bar. Other elements also make this home a perfect place to soak in some peace and quiet; a gorgeous soaking tub in the master bath and 2nd floor balcony with treetop views. 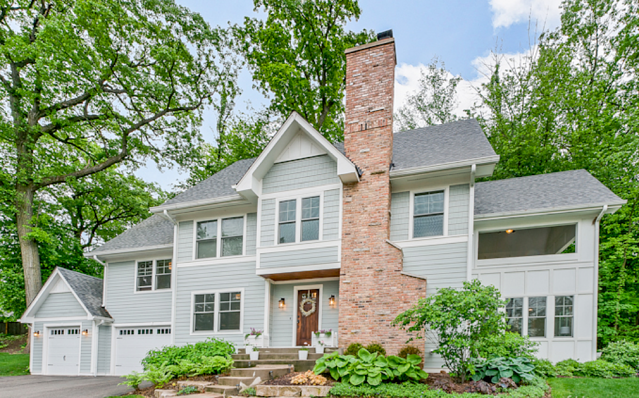 In addition to it's Lake Ellyn location, with top rated Glen Ellyn schools and the fun of all that the town has to offer just steps away, this family home truly has it all. Family needs change, jobs change - and so often people aren't thinking of this reality while they are building their custom home. As in the case of this home, throughout the process we're always keeping resale top of mind for our clients so they don't have to. 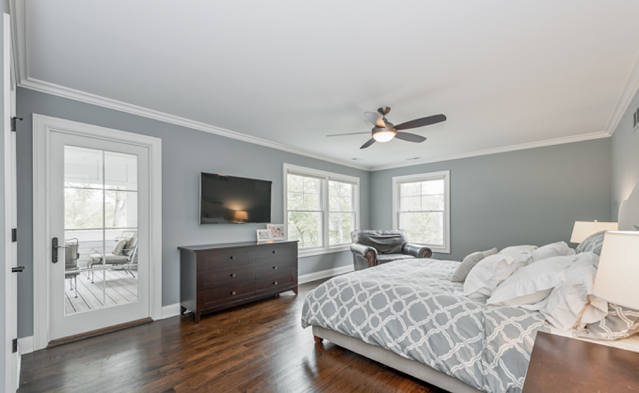 We'll make sure considerations about square footage, upgrades, finishes and more are accounted for to maximize potential resale value - and to ensure the quality of the home stands for future owners as well. Love this home, but prefer a custom home built to your exact tastes? Let's talk!